EUR USD, “Euro vs US Dollar” EURUSD remains to stay possibly in correctional phase. 1.3470-1.3460 Fibo-congestion is still relevant. Short position was opened. 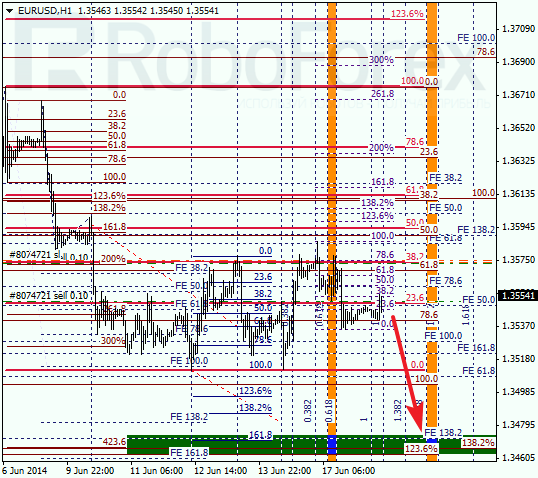 At H1 structure, local level of 38.2% provided resistance. Before that market had tested this level twice. Not surprisingly, projected targets may be achieved as soon as today. 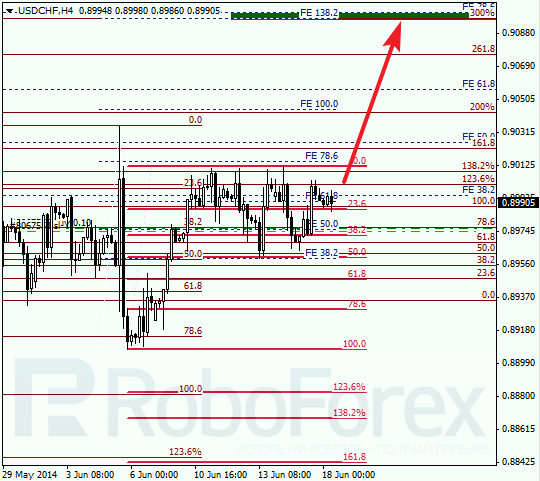 USDCHF is trying to get back to bullish scenario that allowed to reduce risk for long position. 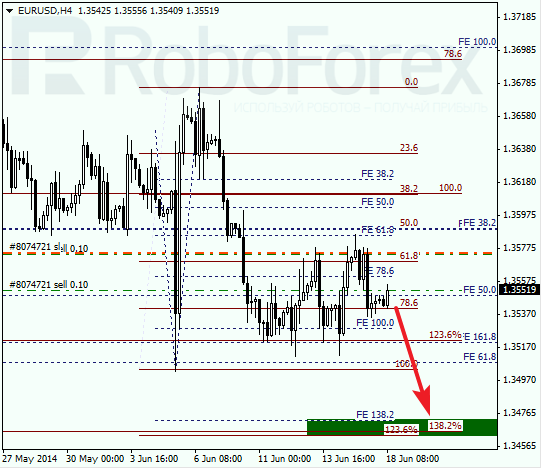 Before that we have seen pullback from 50% retracement (0.8960). Upper Fibo congestion is considered to be target area (0.9100 – 0.9095). At H1 chart it is probably correcting, but very soon breakout of highs can be initiated. According to timing Fibo-zones, upper targets can be reached until Thursday.